The French are currently deporting Roma in what is effectively a massive exercise in ethnic cleansing. But the French are not the only country guilty of a major human rights atrocity. The Germans are also kicking Roma out of the country, many of whom were born in Germany, are German citizens, and speak only German (with just a smattering of the Roma language). In the words of 13-year-old Bukurije Berisha, whose family was recently expelled from Germany and forced to re-settle in Kosovo: "I feel like I'm in prison. I don't go out of the yard. I still hope I'll wake up and see it was a bad dream". She speaks no Albanian and only a little Roma. Her native language is German. Bukurije's parents were granted asylum in Germany in 1993 after the brutal Serbian leader Slobodan Milosevic (now dead) made life in Kosovo a hell on earth. 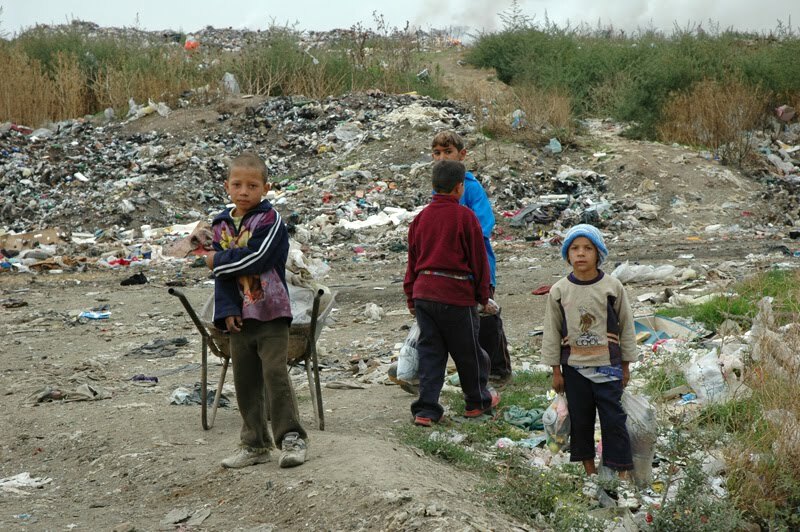 But last December, they found themselves in one of a number of poor Roma settlements along with 10,000 other Roma who are being returned to Kosovo under a bilateral deal eleven years after the end of the Kosovo war. Thomas Hammarberg, the human rights commissioner for the Council of Europe, the pan-European rights body, urged member states to "refrain from action that only worsens the exclusion of Roma, many of whom already live on the fringe as stateless people without documents and thus denied basic human rights". European Justice and Rights Commissioner Viviane Reding has also warned that the situation of many Roma seems to have deteriorated over the years and that this is not acceptable. So why is nothing being done to stop this debacle? Disregarding the fact that around half of the Roma to be deported from Germany are children who were born and raised in Germany, Kosovo is acknowledged as one of Europe's poorest countries and critics justifiably claim that it is unable to guarantee basic human rights. So I repeat: why is nothing being done?